Watch full The Loud House Season 3 Episode 3 full HD online. 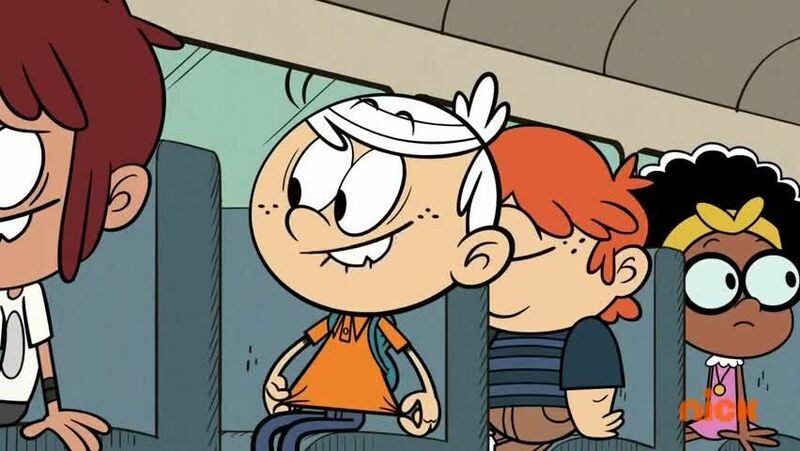 Cartoon video The Loud House Episode 94 online for free in HD. “White Hare”: When a new girl enrolls at Royal Woods Elementary, Lincoln tries to find a way to properly introduce himself to her on the bus without getting her sisters involved. After hitting his head on a tree near a rabbit, Lincoln dreams that he is a rabbit named Warren who goes through a similar phase with 25 rabbit sisters. “Insta-gran”: Pop-Pop comes to have dinner with the Loud family and reveals that he has a new girlfriend named Myrtle, who was told everything about the children by Pop-Pop. The next day, Myrtle comes over and starts trying to impress the children and smothering them with affection, much to their annoyance, especially when she announces her plans to come over every day. They must work to put up with it without making Pop-Pop sad. Note: “White Hare” was based off of Chris Savino’s earlier idea for the show for the Loud family to be a big family of rabbits.